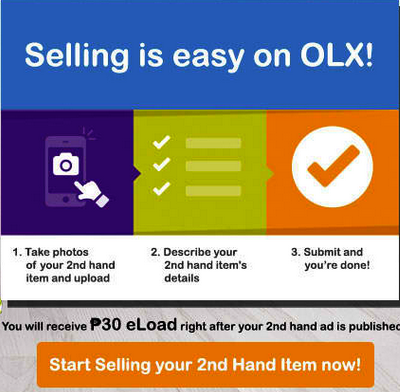 To get the free load you must use the referral link provided by olx.ph which can be found at your inbox. You must only post 2nd hand items at buy and sell section. Tip: Include words like pre-loved or pre-owned on your post to get fast approval. You can only have 3 referrals per day 30*3= maximum 90 load which will reset on the next day. Your friend can only receive load once, but they can also use their referral url to recruit members.Ads posted using mobile/smartphones will not qualify. this promo have ? expiration ? or this is forever ? this promo have an expiration or it is forever ! OLX will give a load ?